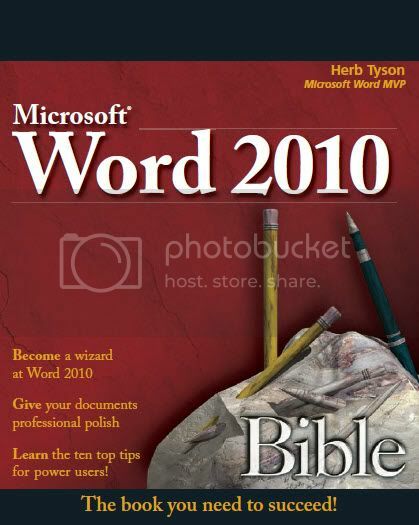 Discover all the changes and improvements to Word 2010 and start using them to full effect with the Word 2010 Bible! No shortage of words here—it's all you need to know on Word! Microsoft Word 2010 arrives with many changes and improvements, and the 900+ pages in this in-depth book covers them all. Microsoft MVP Herb Tyson shows you what's new and improved—such as the customizable Ribbon, Super Tooltips, launchers, live preview, SharePoint® Workspace, and more—while he guides you through a wealth of Word basics, advanced techniques, and productivity-boosting tools. Get the first and last word on Word 2010 with this packed guide! Learn the ten top tips for power users!